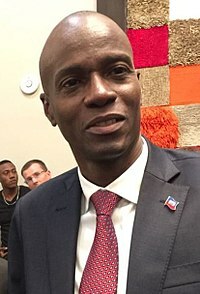 Rioters want President Jovenel Moise to resign, and accuse him of corruption. So far, there’s been no response from Haiti’s president to the demands. Under the current administration, the buying power of Haitian currency plummeted. Haiti is the poorest nation in the Western Hemisphere and suffers from widespread hunger and discontent. Now, with devalued currency and rising food and fuel prices, living is too expensive for the average person, says DeHart. When asked how the blockades affected medical services, DeHart couldn’t say for sure in places like Port au Prince. However, to the north, in Cap Haitien, nothing gets past them. 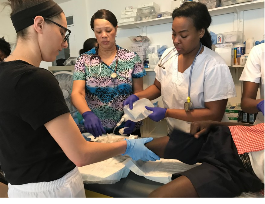 “They set up anything that they can get a hold of–tires, trash, whatever–on fire, so that they’ve got a fire wall that stops the traffic.” Since vehicle traffic can’t get through, the only way people can get to their burn clinic for medical attention is on foot. 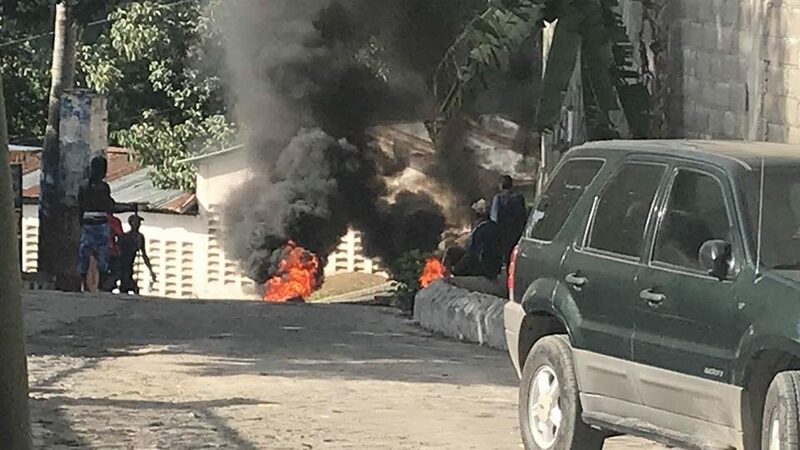 Headline photo, Manifestations in Haiti, 2018, courtesy For Haiti With Love.